Pride London is the annual LGBT pride festival and parade held in London and is also one of the largest gay events in the world. 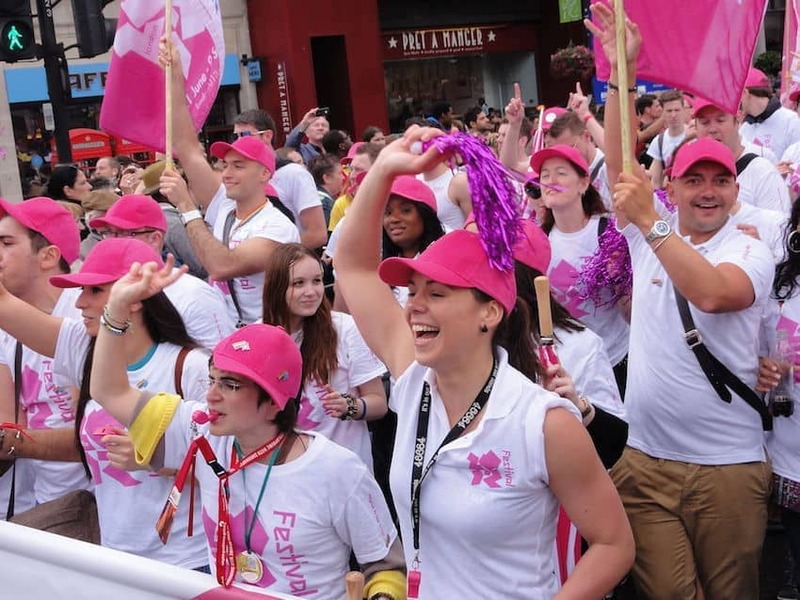 The Parade provides a platform for every part of London’s LGBT community to raise awareness of issues and campaign for the freedoms that will allow them to live their lives on an equal footing. The Festival showcases talent and celebrates diversity and includes theatre, dance, talks and conferences, tours, art and culminates in the Parade which is the only annual event to close London’s iconic shopping street, Oxford Street.